Insert a Blank Page Into PDF for correct printing! 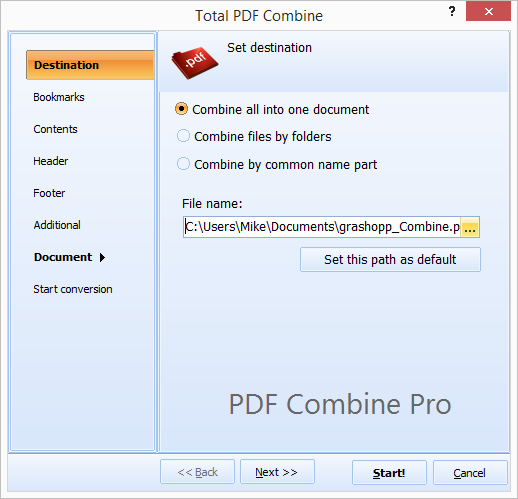 If you've ever needed to put together multiple documents into one PDF, you may already have heard about our PDF Combine Pro software. It's a PDF powerhouse, capable of aggregating data from a variety of different sources into one convenient, cross-platform output file. With PDF Combine Pro you're able to combine DOC, HTML, TXT and JPEG files into one PDF in just a few simple steps. It can even handle XLS files! There's one aspect of its functionality that often goes unreported though and that's what we'd like to bring your attention to in this article: the ability to insert a blank page into the merged PDF you've produced. Admittedly, it doesn't sound like the most common requirement on first glance. People are usually more concerned with removing blank pages than adding them after all. There are however a number of scenarios where being able to add a blank is demanded. Book designers, for example, have known how crucial this is for years. In fact, if you're preparing documents for any kind of duplex printing (printing on both sides of the page) then the eventual positioning of pages across spreads matters enormously. Certain sections will need to fall on odd or even pages for reasons of spacing, layout or eventual binding. The ability to insert blank pages at will is critical in this type of scenario. It's not just blanks either, you might also need to insert a file at a particular point. Luckily PDF Combine Pro is able to accomplish this task with ease. Rather than having to re-open source files or bother your print designer, you'll be able to insert into the combined PDF you've produced with just a few clicks. If you find yourself needing to prepare files for your accountant, or archiving previous projects for work, it can save you literally days of tedious manual preparatory work. Like the majority of our tools, PDF Combine Pro can be run both via its intuitive GUI and also through the command line. It's just one more reason for adding PDF Combine Pro to your printing toolkit. 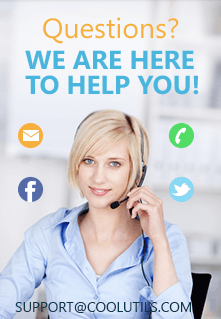 Download our free trial today and try it out for yourself!